Our time in Yellowstone National Park was great. We ended up spending just about three days in the park, and while that wasn't enough time to do some of the long hikes, we were able to see almost all of the touristy attractions. 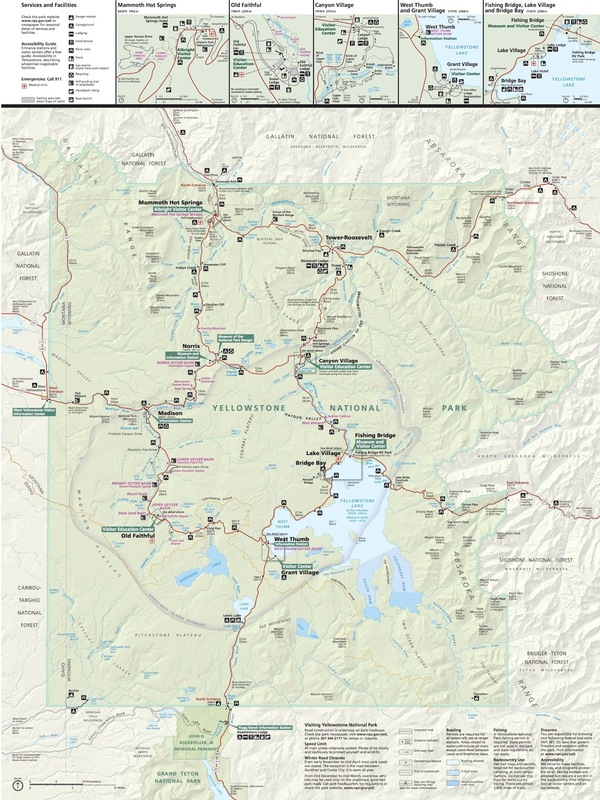 We entered the park from the West Entrance, and followed the main road until we reached Madison Junction, where we began our drive South towards Old Faithful. The plan was to hit up all of the attractions along the West side of the park on our way to the hotel in Lake Village. 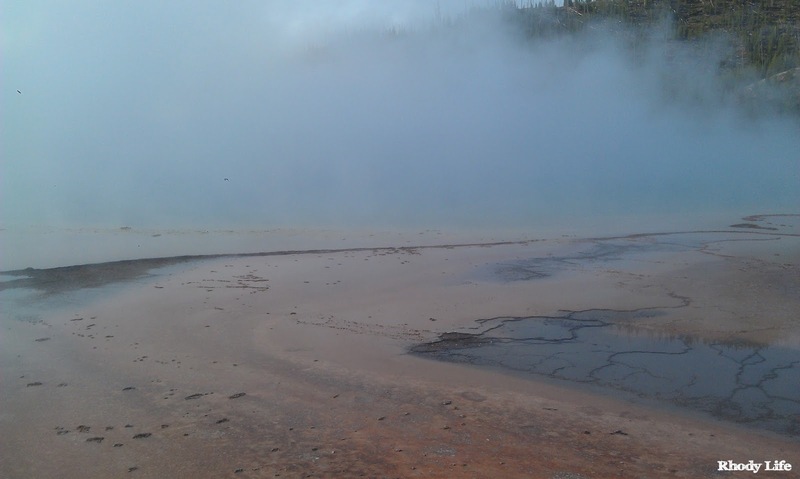 The first place along the road that we stopped was the Midway Geyser Basin, which is where Grand Prismatic Spring is. 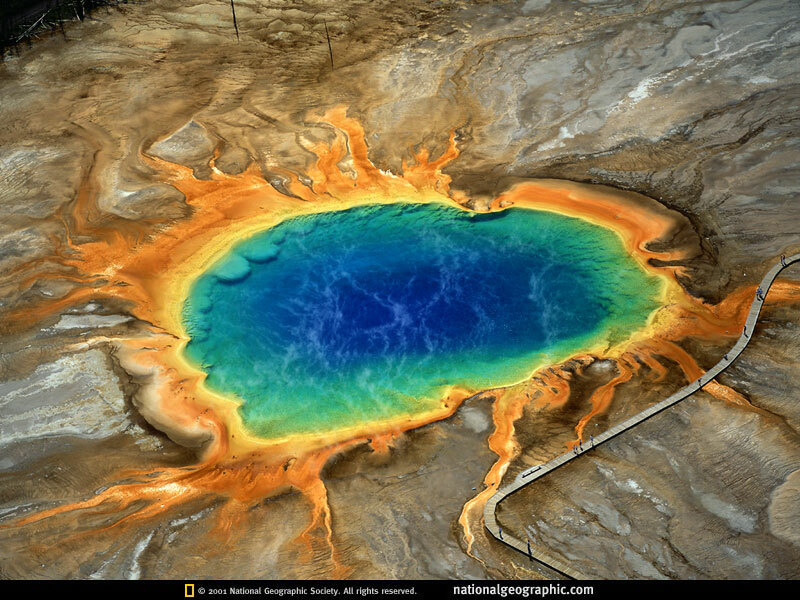 D and I were so excited to see this because the pictures that are available online of this basin are incredible, as you will see below, in the picture by National Geographic. Well, we weren't going to be able to see how beautiful it was. You see, when we woke up that morning to enter the park, it was a whopping 38 degrees outside. Yes, you read that correctly - 38 degrees. After having just spent a few days in temperatures over 90 degrees, that was quite the shock to our systems. But, you may be wondering what this has to do with not being able to see the beauty of Grand Prismatic Spring. Well, the water that's in the spring is averaging about 160 degrees Fahrenheit, which makes it very, very warm. When the temperature in the air is cold, let's say under 50 degrees Fahrenheit, the steam that rises off of the warm water blocks the view of the spring, and you can't really see much at all. And since it was so freaking cold that morning and the sun hadn't yet broken through the early morning fog and mist, we essentially couldn't see anything. 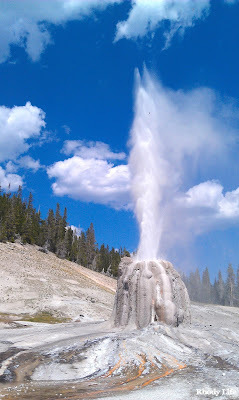 But, since there wasn't too much to see, we decided to keep on going, and our next stop was the Old Faithful area of the park. 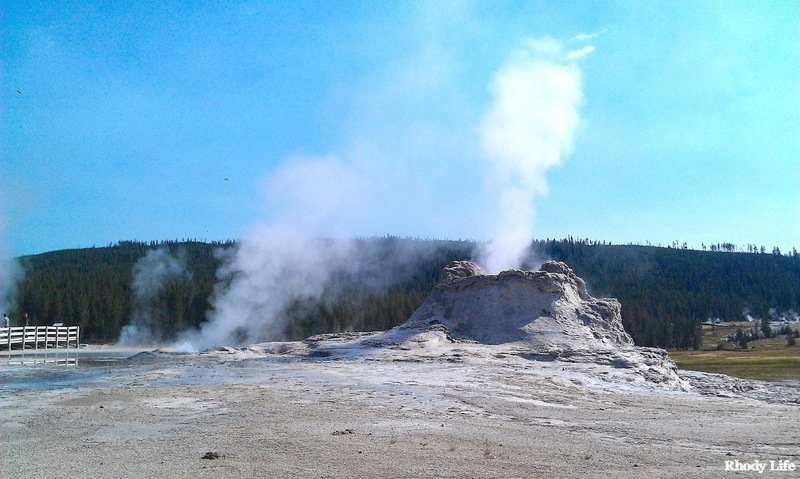 With Old Faithful being pretty predictable, we were able to spend some time walking around the boardwalks to see the other geysers before we made our way back to the main attraction. 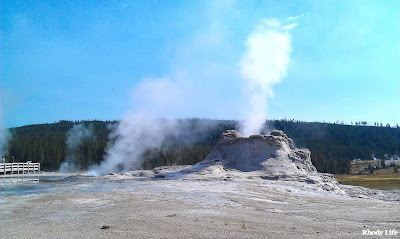 Before going to Yellowstone, I didn't realize how many other geysers there actually are in the area, so we spent a lot of time walking around, enjoying the area, and thinking we were going to see every geyser go off - and spoiler alert - we didn't see a single one. 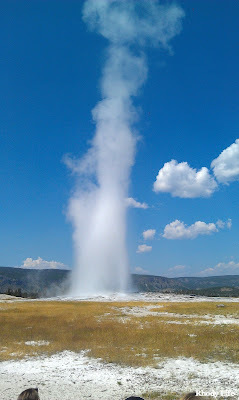 Don't get me wrong, there was a lot of activity, but the only one that we saw actually erupt was Old Faithful. 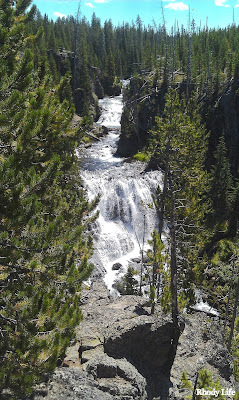 After watching Old Faithful, we made our way out of the area and over to Kepler Cascades, which is just an overlook to an amazingly beautiful waterfall. We actually ate lunch here, and when we finished up, we walked over to a hidden gem just around the corner, Lonestar Geyser. The walk out to Lonestar is about 2.5 miles, one-way, but well worth it. I actually enjoyed Lonestar more than I enjoyed Old Faithful, and it was definitely the highlight of the day for me. We were able to get really close to the geyser, even when it was erupting, and there were no where near as many people there as there were at Old Faithful. Also, the spout that it looks like the hot water is coming out of was actually formed over years and years of the geyser erupting. 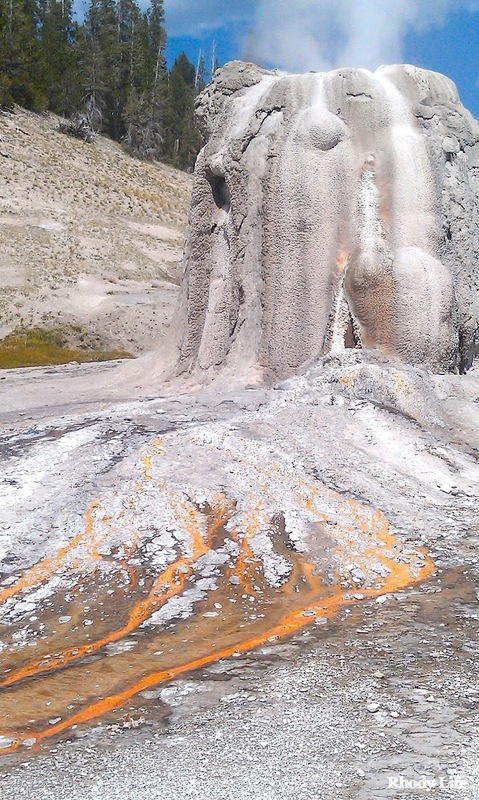 Since the hot water comes from inside the earth, it contains a lot of sulfur, and when it erupts, the sulfur leaves behind small particles from the water run off, and over time, the sulfur builds up and forms that spout around the opening in the ground. You'll see a lot more of this in pictures as my vacation recap continues, but this actually wrapped up our tour of the West side of the park. 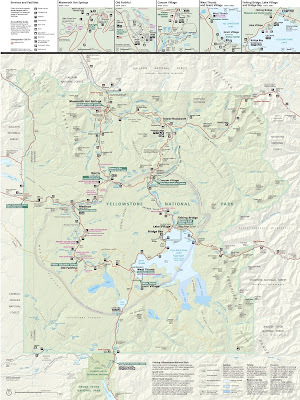 Stay tuned as we continue our vacation in Yellowstone and explore some of the other awesome parts of the park. Have you ever seen Old Faithful? Is Yellowstone National park on your bucket list?